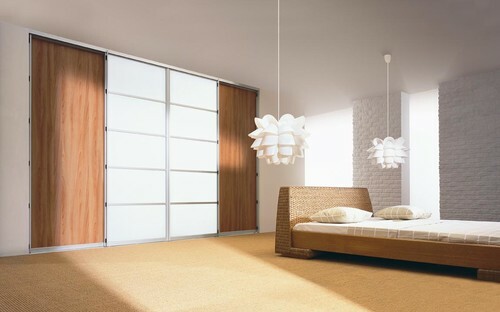 Building or renovating your home and need interior design inspiration? 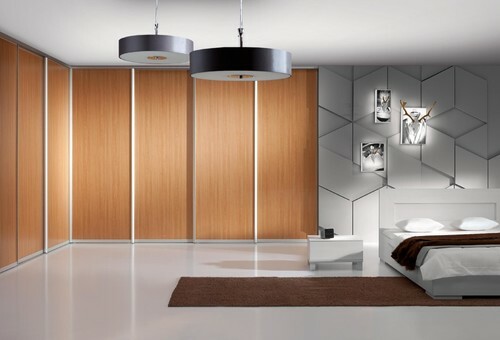 Here are 12 of the best sliding door wardrobe designs that will instantly enhance your home and offer innovative space-saving storage solutions. 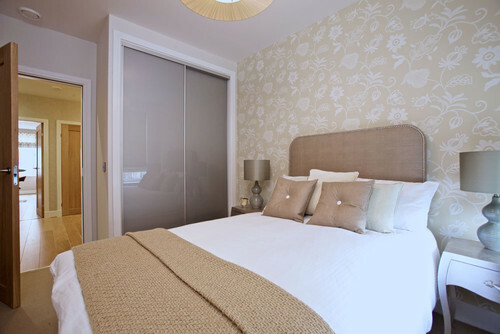 Thinking of replacing your existing home Sliding Door Wardrobe? Contact us for a free quote on your custom wardrobe carpentry. 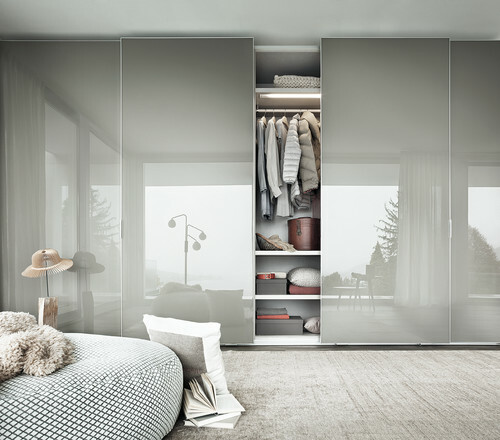 Modern and sleek, the Armadio Sliding Wardrobe offers a vast amount of storage space, with different configurations for shoes, clothing and accessories. 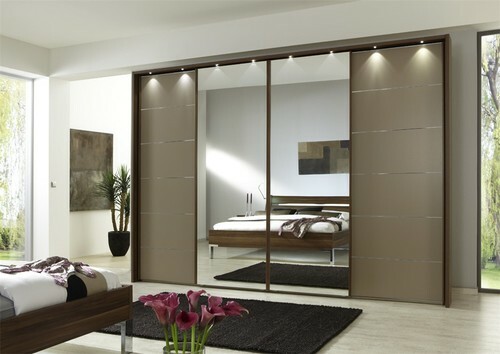 The framed glass sliding doors also provide a striking feature to complement any room. Contemporary and elegant, the Fina Sliding Door Wardrobe provides a good balance of hanging, shelving and concealed storage space. With glossy, opaque glass sliding doors reflecting light throughout the room, it appears more bright and spacious for heightened aesthetic appeal. Clean and rustic, the Modern Sliding Door Wardrobe offers great space saving storage, with a combination of compact drawers, shoe and hanging shelving configurations. Contemporary and designed with simplicity from warm wood, with a central glass panelling it is a stylish room feature for a more minimalist house or apartment. Elegant and refined, the Contemporary London Sliding Door Wardrobe has a variety of shelving configurations to efficiently store clothing, shoes and accessories. With contrasting matte and glass sliding doors illuminated by subtle downlights, it is stylish and modern. Bright, sleek and glossy, the Los Angeles Contemporary Sliding Door Wardrobe has clever shelving configurations for well-balanced hanging, shoe and accessory storage. Effectively concealed by glossy shiny white doors, the wardrobe blends seamlessly into the room, perfectly complementing its modern interior. Clean, compact and designed with simplicity, the Edinburgh Sliding Door Wardrobe offers space-saving benefits, while providing more minimal hanging, shoe and accessory storage. The opaque glass blends with the room’s styling, so this cabinetry solution could be used in a classic or more modern setting. Luxurious and industrial, the Dorset Thick Sliding Door Wardrobe offers extensive hanging, drawer and shoe storage. The glossy opaque grey glass doors give the room a look of opulence, while the reflected light brightens the surrounds. Clean and contemporary, the Boston Modern Sliding Door Wardrobe boasts unique shelving configurations allowing for a vast amount of clothing, shoe and accessory space. 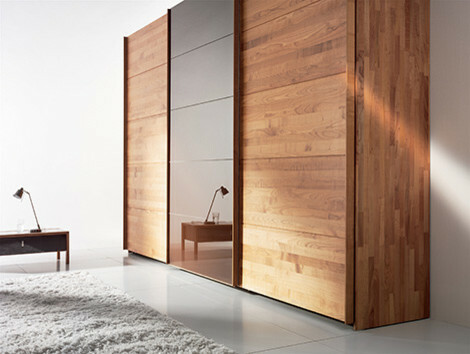 The white sliding doors on this modern wardrobe have a rich wood panel across the centre, which is an eye-catching feature in contrast to the stark white of the doors. 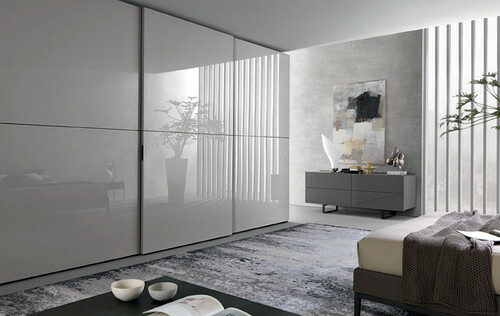 Sleek, modern and refined, the Segmenta Sliding Door Wardrobe offers spacious hanging, drawer and shoe storage. 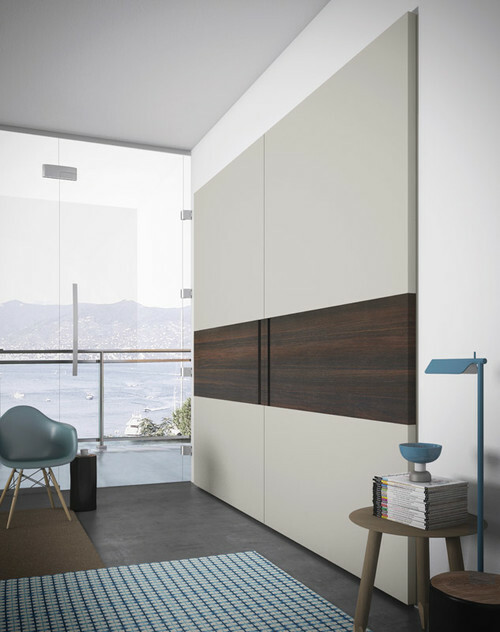 With contrasting matte and high gloss doors, this wardrobe is stylish and contemporary, while enhancing the level of light with its reflective capabilities. Simple, spacious and stylish, the Brisbane Modern Sliding Door Wardrobe has innovative shelving configurations providing a considerable amount of storage space for clothing, shoes and accessories. The glass sliding doors have a unique striped matte and reflective design adding subtle warmth from the downlights positioned above. Bright, natural and modern, the Komandor Contemporary Sliding Door Wardrobe has four main compartments offering an impressive amount of drawer, hanging and shelving storage. With soft hued wooden panels on the outside and sliding glass doors on the inside, it’s contemporary and stylish, blending subtlety into the room while complementing the interior by adding warmth and light. Simple, clean and contemporary, the Komandor Modern Sliding Door Wardrobe has an extensive amount of drawer, hanging and shelf storage. The rich, buttery hue of the sliding wooden doors instantly brighten up the room and the design simplicity allows this style of cabinetry to be suited to a wide range of home or apartment interiors. These classic, contemporary, rustic and modern sliding door wardrobe designs will add value to your home, complement your room styling and provide you with great space saving solutions.